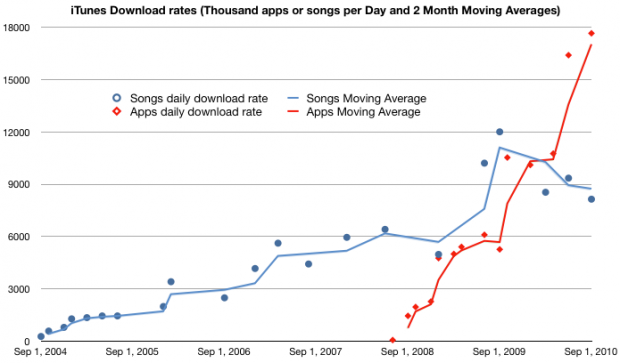 iOS users downloading 17.6 million apps/day. Songs, not so much. Mr. Jobs was being modest. If the current download rate is maintained (17 million apps/day) and if the pricing of $0.29/app is preserved, then $1.8 billion will have been spent on iOS apps this year. With the rate of downloads increasing as steeply as it is, $2 billion in sales is not unlikely in the third year of the store. Twice what Jobs was predicting for “some point in time”. 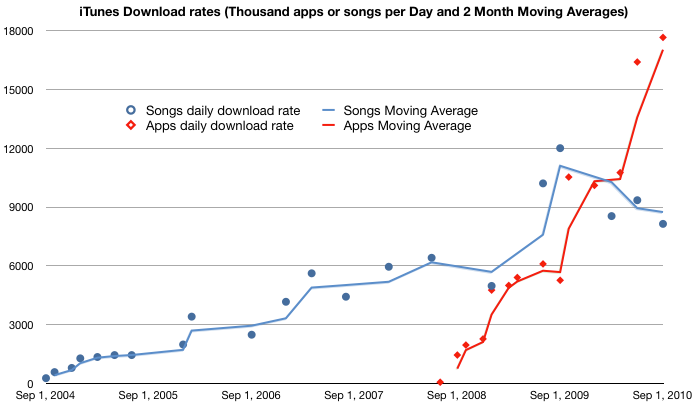 The other line in the graph is the iTunes music download rate. I’ve written about it before and pointed out that the point of inflection in the download rate coincided with the increase in price for songs from $0.99 to $1.29. Not much more to say here except that the trend continues and music downloads continue to slow. As far as Apple is concerned, the slowdown in iTMS is more than offset by the increase in iTAS. As far as the music industry is concerned, I don’t think CD sales are increasing. Does anyone know? At the September 1st music event, Apple announced that 6.5 billion apps were downloaded and that there had been 120 million iOS devices sold. This works out to 54 apps per iOS device. On June 7 Apple reported 5 billion apps over 100 million iOS devices or an average of 50 apps for iOS device. On April 8th, I computed that the app attach rate was 47. Let’s rewind to two years ago. August 27th, 2008, soon after the App store launched. 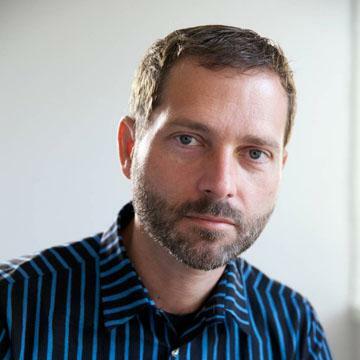 Nokia had just declared that its users had downloaded over 90 million applications over the past 2 years. An analyst estimated that over 100 million users globally use Nokia smartphones/converged devices, implying an attach rate of less than 1 app/smartphone. My, how expectations have changed.